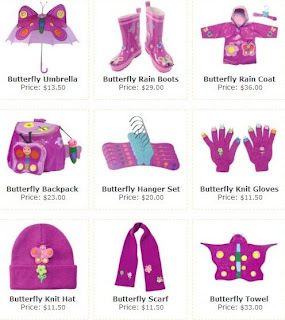 As low as $4 for $30 Kidorable Credit = CHEAP Kids Umbrellas, Rain Coats + More! 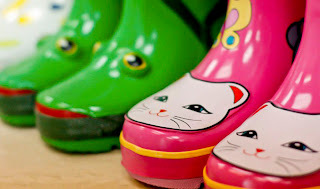 Right now at Plum District, you can get $30 of Kidorable.com credit for as low as $4.00! Kidorable specializes in coordinating kid's products such as rain gear, towels, hats/gloves and much more. Take a look at the screenshot below to see the "Butterfly" set. There's also dragons, pirates, fairy, cat, ladybug and many more designs. Some styles also have matching bookends. The $30 vouchers are on sale for $15, but use the code cyber40 to save 40%, making it $9.00. To save even more, new Plum District members get an instant $5 credit when they sign up, allowing you to get $30 worth of stuff for just $4.00!